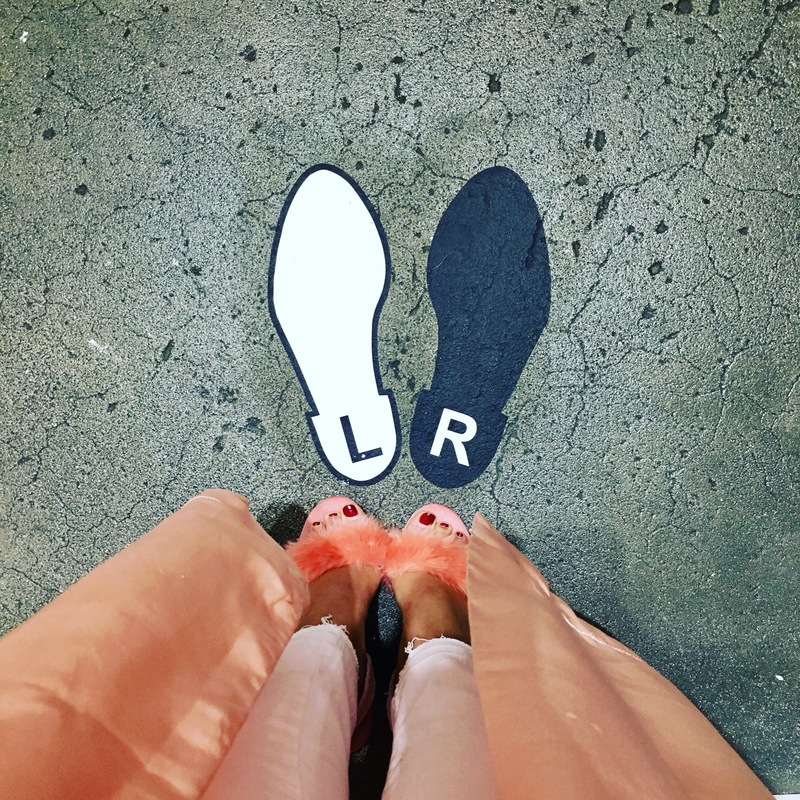 One of the best things of living in Los Angeles is the opportunities to see and do things that awaken the artistic senses. Pop art is my favorite artistic movement and therefore Andy Warhol one of my favorite artist. 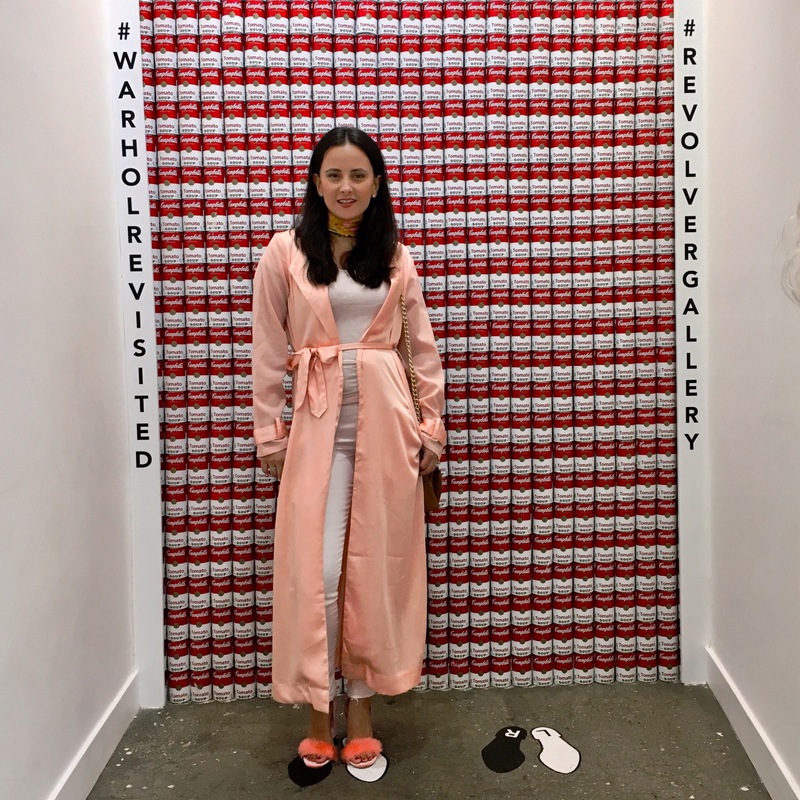 When I found out about the exhibition Warhol Revisited at the Revolver Gallery, I didn’t even think twice and went right the way to the website (click) to booked my free ticket. 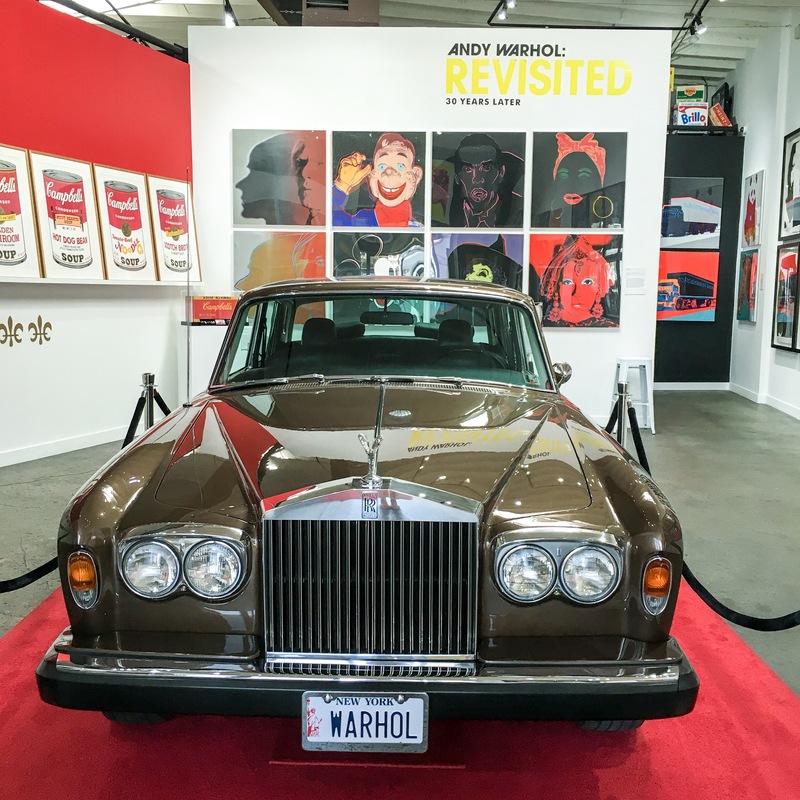 The exhibition have 200 pieces in rotation starting with Warhol’s car, continues with an exquisite expression of #girlpower thru 10 paintings of the famous actress Marilyn Monroe. 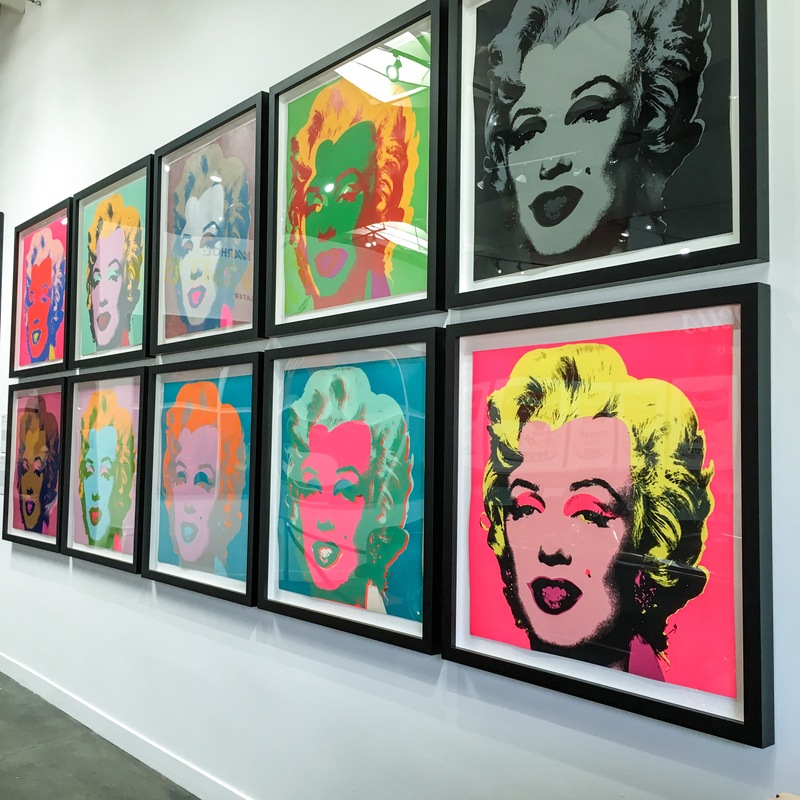 “Perhaps no other work by Andy Warhol is more recognizable than the Marilyn Monroe print series. Warhol created his first paintings of the actress durning the weeks following Marilyn Monroe’s death in August 1962. Based on a publicity photo taken by Gene Korean on the set of the movie Niagara (1953)”. 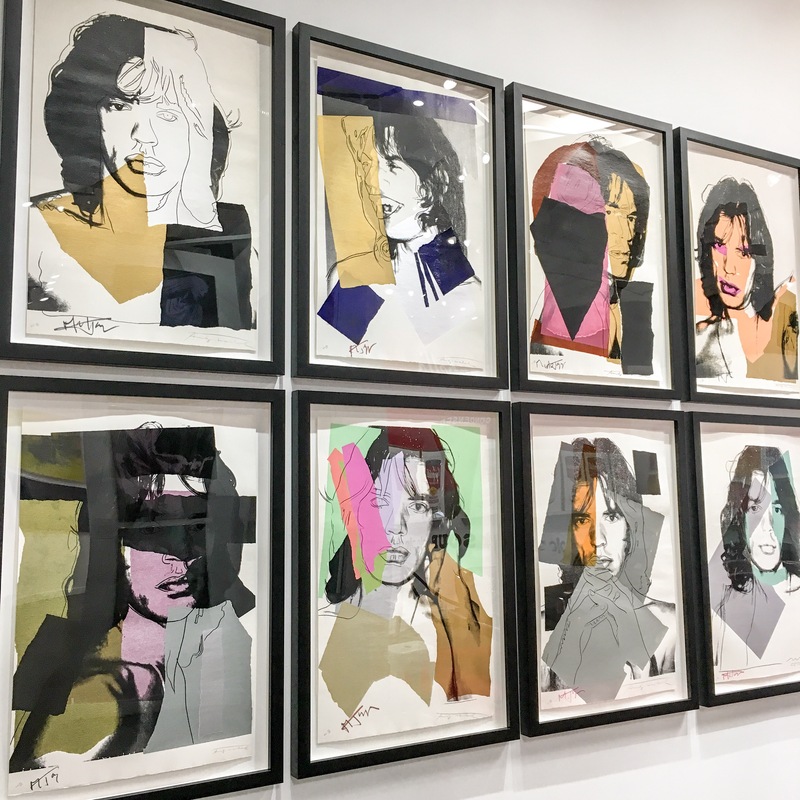 “Since the 1960s Warhol had a professional relationship with the British rock-n-roll band, The Rolling Stones, and famously contributed artwork their eleventh studio album, Sticky Fingers (1971). Mick Jagger and his wife Bianca spent considerable time with Warhol in the 70s, and became regular fixtures in his social circle. These images of a shirtless, pouting Jagger at the peak of his celebrity are based on a series of polaroids taken by Warhol at his Factory”. Muhammad Ali 1986, Screenprint on Strathmore Bristol Wove Paper. 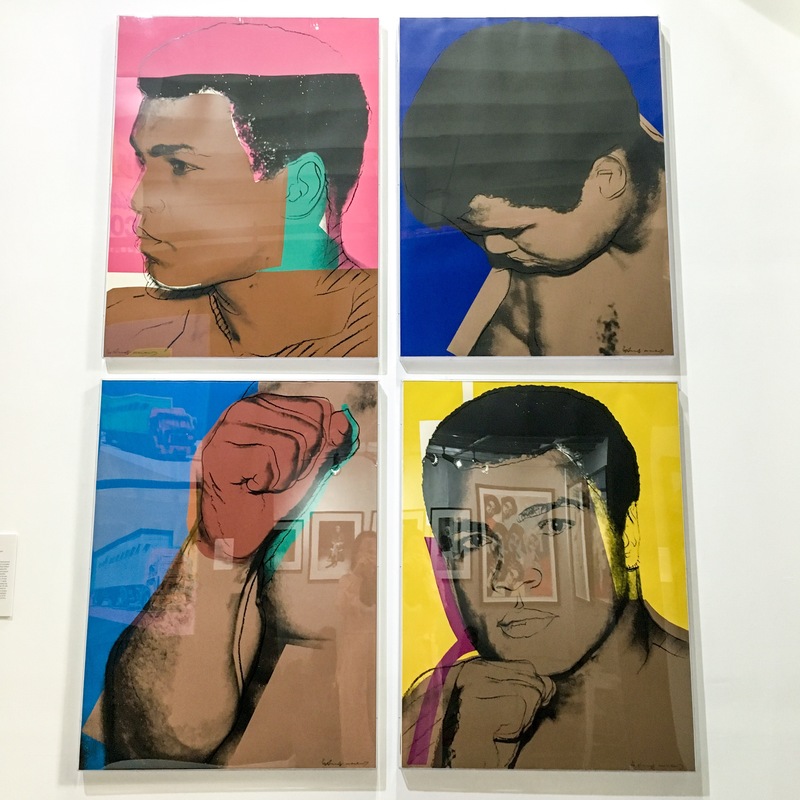 “Warhol photographed the legendary boxer Muhammad Ali in 1977, as part of his Athletes series, which included other famous athletes such as Pele (soccer), Rob Gilbert (hockey) and Jack Nicklaus (golf). Warhol created the series upon the initiative of the art collector and sports aficionado Richard Weisman. Warhol was unfamiliar with the world of sports stars before then, but he was intrigued by their status as popular celebrities”. Warhol Revisited exhibition is without a doubt a must see. The collection is exquisite, energetic, but above all with a great story behind each painting. 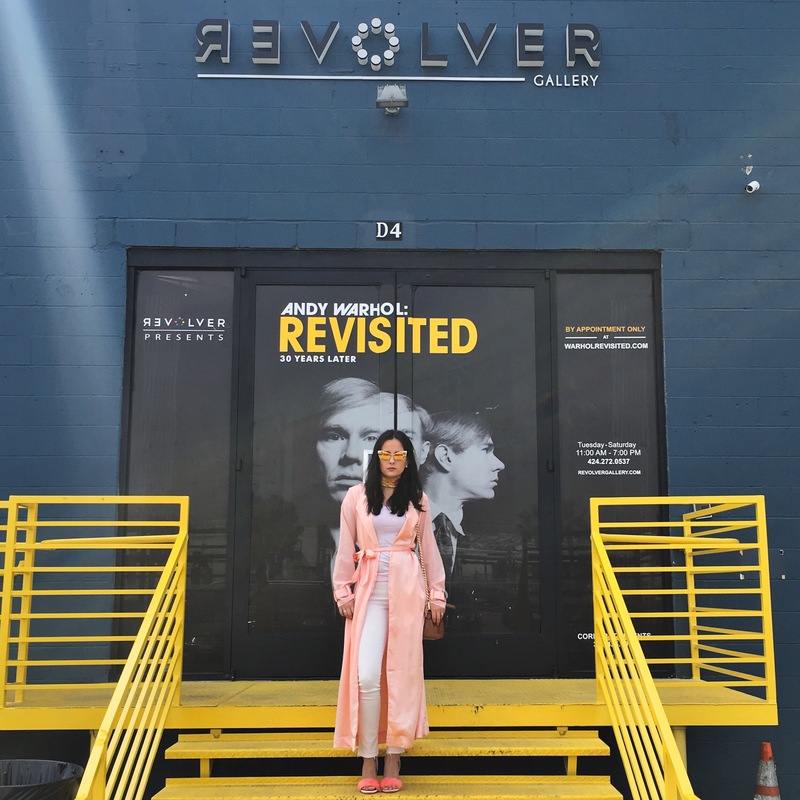 The Revolver Gallery has it all, great art, friendly workers, Warhol shop, a photo booth for the perfect instagram picture and free parking. What are you waiting for??? Book your tickets now!!! This is so cool!! What a neat exhibit to go see. I hope I get to go to one about him sometime.